All of these mistakes I have made myself, and have learned how to not make them again. 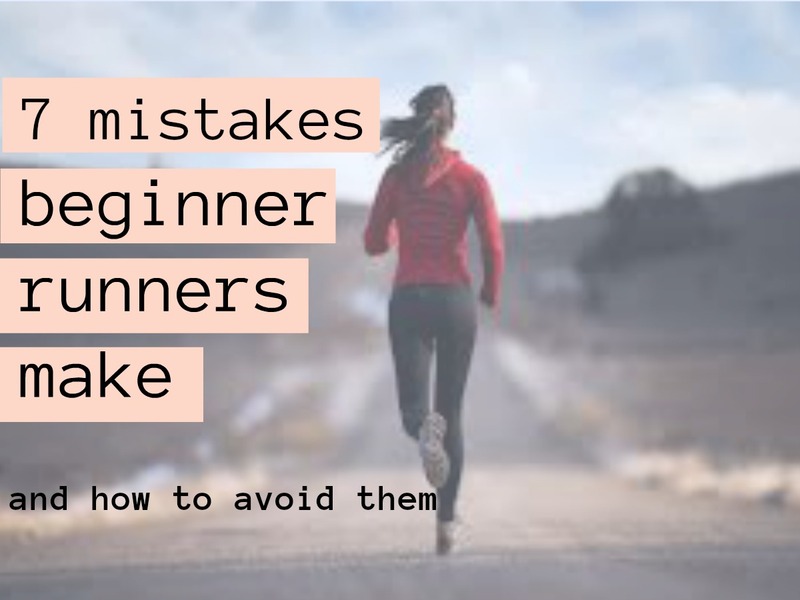 If you notice yourself falling victim to these 7 running mistakes, don’t worry…you’re not alone! Whenever you start a new endeavor, the tendency is to go all out, at least at in the beginning. When it comes to running, too much isn’t always a good thing. Logging too many miles without a proper build up can lead to burnout and injury. Instead, add on mileage slowly. The rule of thumb is to increase your weekly mileage by no more then 10 percent. I’m always cold, so I tend to wear too many layers when I run, only to stash my jacket somewhere in the bushes. When headed out for a run, dress as if it is 20 degrees warmer. Running causes your core body temperature to rise. You’re probably good without a jacket, until the temps drop below 50 degrees. Your body has enough glycogen stored for a 60-90 minute run. If you’re going for a run (especially if it’s under an hour) you really don’t need gels or sports drinks. In fact, ingesting more than you need can lead to stomach issues that will stop your run dead in its tracks. I generally only take in calories if I’m going for a run that is 10 miles or longer. Yes, that’s right. Research shows that beginner runners tend to OVER drink, rather than under drink. A good rule of thumb is to drink when you are thirsty, more if it’s hot outside. It’s important to build a good aerobic base before working speed drills into the equation. The faster you run, the more likely you are to develop an injury, especially if your ligaments aren’t quite used to running yet. Work up to being able to run 3 miles comfortably and continuously, before you begin to worry about getting faster. Running is hard. There is no way around it. When you start to feel run down, remember why you started. Some of my best runs happen after a really crappy run. There are many training plan options out there, some designed specifically for beginner runners. The trouble with finding a plan on the internet is that it does not adapt to you and your obligations. Don’t beat yourself up if you have to miss a workout, or move days around. Life happens. It’s what you do day in and day out that matters. Running is all about the accumulation of miles. If you have to miss a workout, don’t let it derail you. Just keep pushing forward. I hope this list helps! Do you think I missed anything?